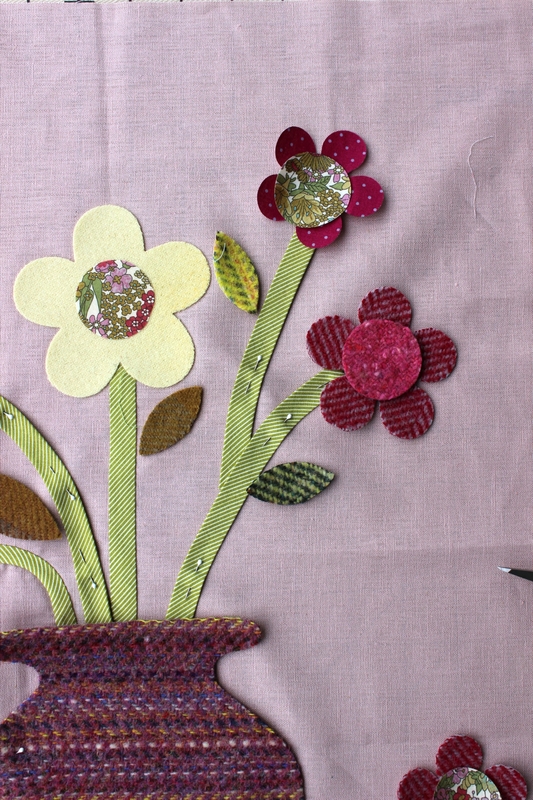 These three images show the applique pieces cut out, and ready to iron into place on the cushion front. 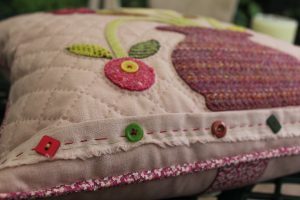 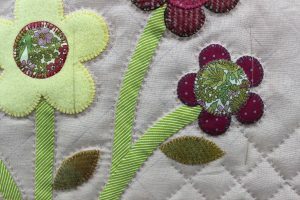 The bias cut narrow stems have been applied, then turned to conceal the initial seam, then hand stitched into place with a very fine slip stitch. The image is clear enough to see the lovely different textures. 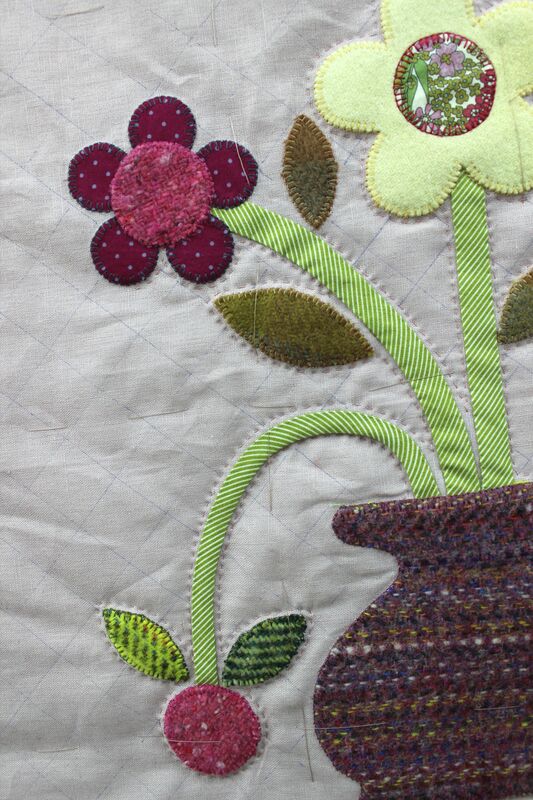 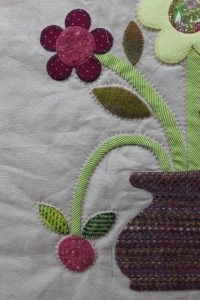 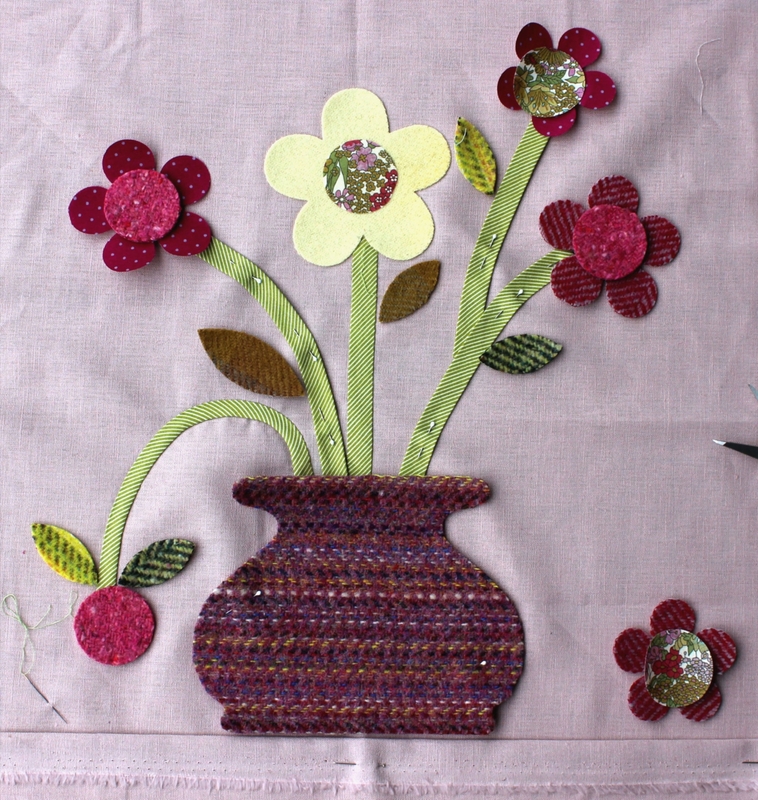 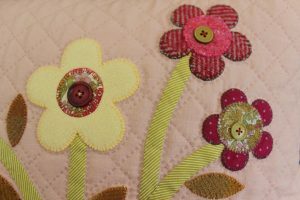 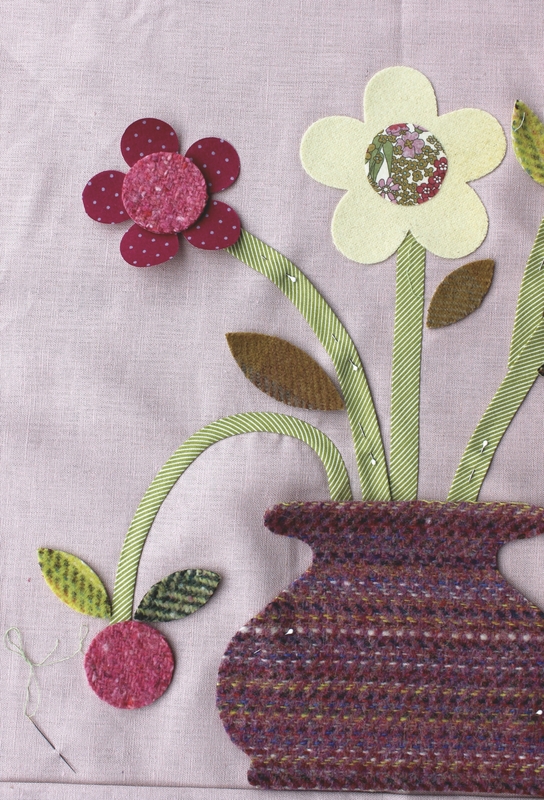 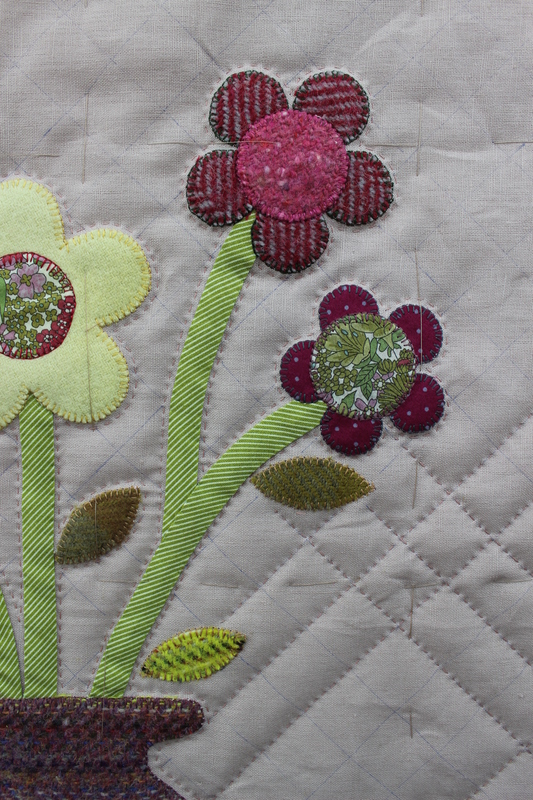 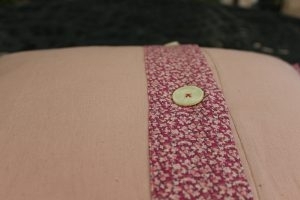 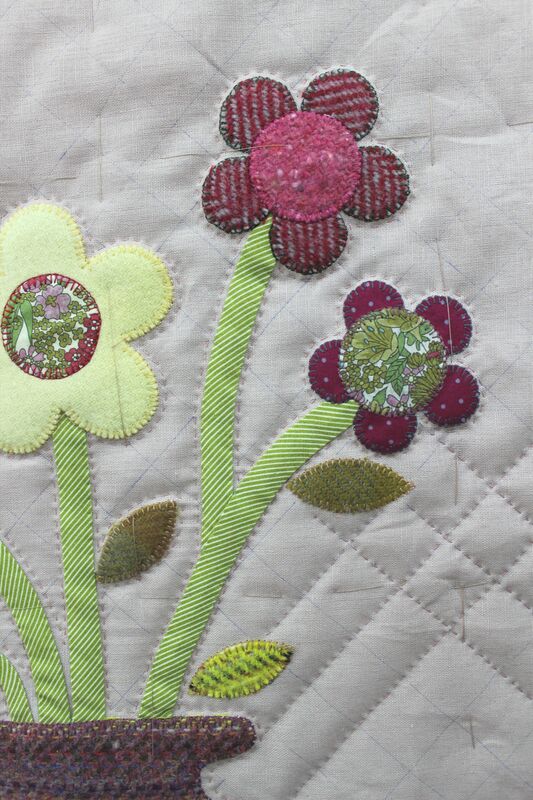 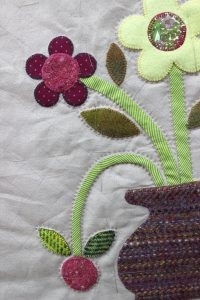 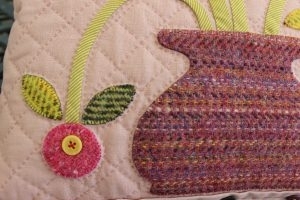 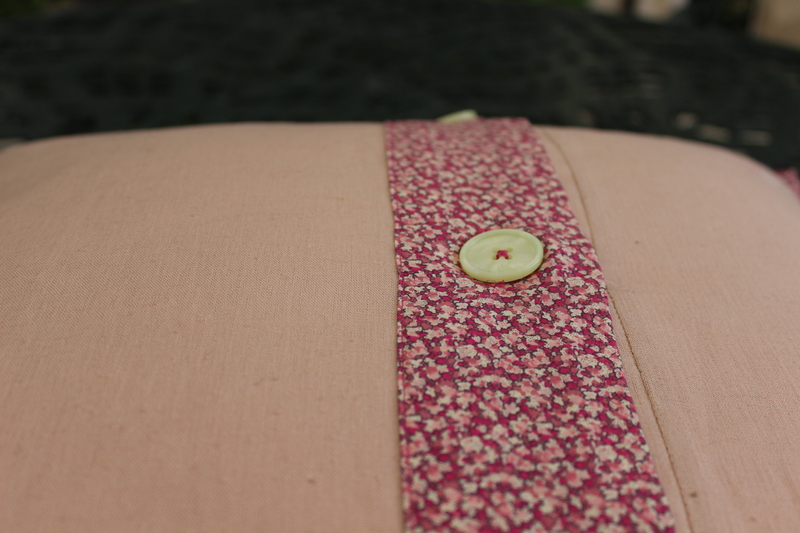 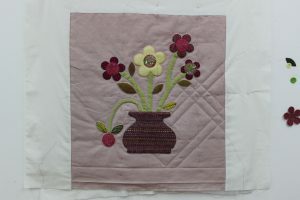 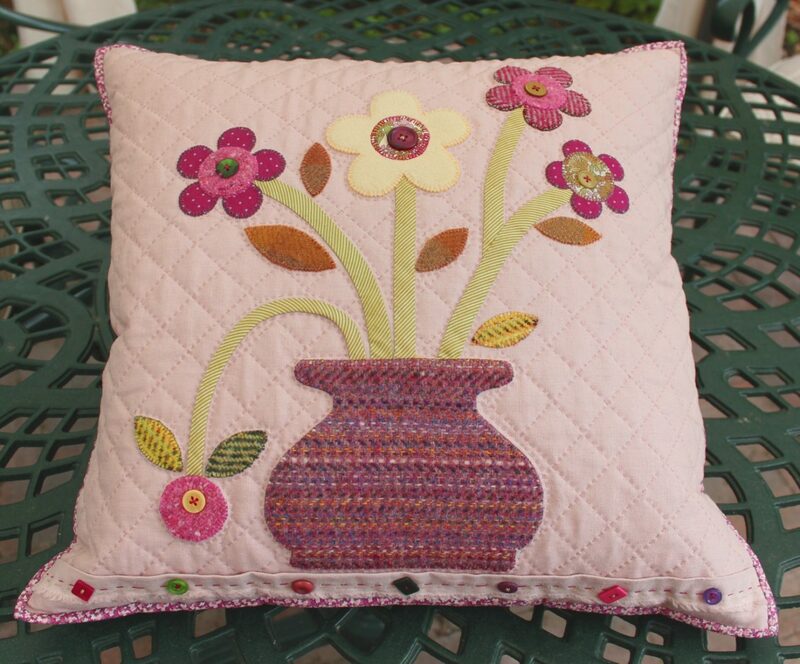 I very much like the clover pink shade and the texture of the Essex linen background. Gorgeous!